Septic vs Sewer: Might Septic be Better? Conventional wisdom suggests that when faced with a choice between town sewer and a septic system, the answer is clear: town sewer wins, hands-down. But is the conventional wisdom right in this case? Is septic sometimes a cheaper, greener choice? A closer look at this question suggests that while the conventional wisdom is clear, it may not be right. Town sewer requires no maintenance -- once you flush, you're done. While there is truth in both the advantages and disadvantages, there is misinformation as well. It is certainly true that septic systems require maintenance -- but it may not be true that they are more expensive. And septic has other advantages that this debate traditionally ignores -- it may be "greener", and when you don't want to live in the center of town, it may be your only option. While most people are aware of the rather significant cost of replacing a broken septic system, few are aware that municipal sewer has its own costs. For example, according to Bill Gassett, owner of MassRealEstateNews.com and a realtor for RE/MAX Executive Realty in Hopkinton, Mass., homeowners can be assessed huge fees for maintenance and installation of new infrastructure. "In many towns that have sewer as an option, the buyer is asked by the town to pay what is known as a Sewer Betterment fee," he says. "This can be quite expensive. For example, the last phase in my hometown of Hopkinton, the Sewer Betterment fee was $16,000." In fact, there is no shortage of stories describing these fees and debates by various planning and selectmen's boards as to the best means to handle sewer line improvements, which can be quite costly. The cost can increase quite a bit, too, if a pumping station must also be built. 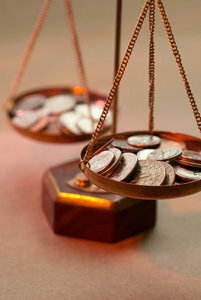 It is also possible for a municipality to place a lien on specific properties until they have paid these fees. While any home in any neighborhood could potentially be assessed a Sewer Betterment fee, Daniel Friedman, Editor and Publisher of InspectaPedia.com says that homes in low-density areas are at greater risk for higher fees. Installation costs are always high, but fewer homes mean fewer taxpayers to spread the costs. Even if pipes and a pumping station don't have to be installed and built, there is still a fee to connect a home to the sewer lines or to replace aging pipes. "The expense is actually putting in the line from the street to the home," says Gassett. "This is usually another couple of thousand dollars and then there is also the yearly usage charges for having a sewer connection, which can amount to another $1,000 and, in some cases, $2,000. With a septic system the only expense is a pumping fee, which is generally every couple of years and amounts to a few hundred dollars." While sewer rates around the country vary widely, a few examples of yearly rates include Boston, average of $832 per home; Chandler, Ariz., average of about $612 per home; Lemoyne, Pa., average is $651; Danvers, Mass., average is $680; and so on. By contrast, the cost of pumping a septic tank, which generally should be done every two to four years, can also vary considerably, but the average is between $200 and $300. "The advantage on a septic system depends on the load being put into it, but here in Florida the average is about three to five hundred dollars to have someone come out and pump it," says Eric Martell, a realtor based in South Florida. "Depending on the load, this could be every three to five years." Martell adds that while Florida homeowners are required by statute to pump their tanks at least once every five years, that with proper management it is possible to go 10 or even 15 years between pumping. There is also the point that sewer systems have become big business across the country. Costs to replace or make improvements to systems can be very expensive and costs are growing as these systems are becoming increasingly more complex. Meanwhile, septic systems, while somewhat expensive to install or replace, will work perfectly well for a considerable period of time with just minor maintenance and pumping. According to Eco-Nomic.com the cost of a standard gravity system for a three bedroom house located on a level site with good soil is roughly $3,500 to $6,500. However, depending on where the house is located, type of lot and soils, the cost can go up considerably. Also, if you want the BMW of septic systems, such as a Mound system, you can pay as much as $10,000 or even more. It should also be noted that a septic system, when properly maintained, can last decades. According to InspectaPedia.com, a steel tank will last about 15 to 20 years while a concrete tank can last about 40 years. Septic drain-fields that are well maintained and properly sized can last as long as 50 years, but on average it could be about 20 years. Of course, these estimates are based on a properly built and maintained system located within good soils. Life spans could be quite a bit less, but it is not unreasonable to expect a septic system to have some longevity. As people become more environmentally aware, owning a home with a relatively low environmental impact can be an important selling point. For some, a septic system may offer a green wastewater option. For example, sewer systems require energy to pump water throughout the system and use chemicals to treat the water. There are also issues as to how the outflow impacts streams and rivers as it may increase the bacteria content or add other seemingly neutral substances to the water that nonetheless alter its ecology. It is also not unheard of for treatment plants to overflow during large rainstorms or due to overuse. By contrast, properly installed septic systems adequately treat waste without using energy for pumping or chemicals to treat the water. They also return water to the local aquifer and, again when properly installed and maintained, rarely if ever overflow or create similar such hazards. One realtor we spoke with for this story said, "If you have a septic system, it may be in some ways more sustainable in that it is a system that requires no chemicals or power to operate and it is distributed so that you don't have a single collecting point for an entire community of houses and businesses with an outflow of a large volume of treated water. Instead, you are trickling wastewater in relatively small quantities so that it is naturally filtered and cleaned." Additionally, Jim Anderson, Education Coordinator for the National Association of Wastewater Transporters writes, "The technology is available to install an onsite wastewater treatment system that will protect the public health and meet water quality standards indefinitely---if it is properly managed and maintained. In addition, these systems can help to promote better watershed management by avoiding the potentially large transfers of water from one watershed to another that occur with centralized treatment." Anderson goes on to note that a 1997 report by the EPA says that adequately managed decentralized wastewater treatment systems (e.g. septic systems) are a cost-effective, long-term option for meeting public health and water quality goals, particularly in less densely populated areas. 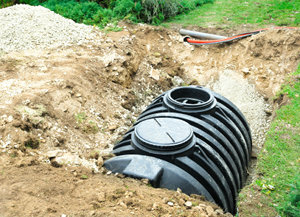 The final -- and perhaps most obvious -- benefit of a septic system is the ability to free oneself from a sewer hookup. While not all lots have soils that work well with a septic system -- primarily due to low percolation or permeability -- a septic system allows a homeowner to site a house where municipal sewer is unavailable or connection is very expensive. This means that people with a desire to live in rural areas, beyond the reach of sewer pipes, can do so safely. For a homebuyer seeking a remote location or to build a new home that would otherwise be very expensive to hook up to a sewer line, they have a reasonable alternative. There is also the desire by some homeowners have one less connection to municipal government. When you have a septic system, you are responsible for it yourself and are freed from the vagaries of publicly owned sewage systems. Upgrades, replacement costs and renovations of infrastructure such as treatment plants, pipes, and pumping stations are not a concern for most septic system owners. Municipal sewer systems still have their advantages -- they can properly and cost-effectively manage large volumes of wastewater from a variety of residential and business sources and homebuyers view them as adding value to a home. However, there is no need for homebuyers to shy away from a home with a septic system. As Martell notes, "I've lived in homes with septic systems my entire life and I've never had a problem. They don't cost any more, especially as long as you take care of it, and if you want to live on a property that is rural or does not have a nearby sewer line, they are your only choice." In conclusion, as Daniel Friedman, Editor and Publisher of InspectaPedia.com, puts it, "No one thinking clearly would decide to buy or not a home based on its having private septic versus public sewer."